3 February 2015: The aims of the international World Mayor Project, launched by the urban affairs research institute City Mayors Foundation in January 2004, are twofold. First, City Mayors seeks to raise the profile of mayors worldwide by honouring those who have served their communities well, governed openly and honestly as well as made significant contributions to cities nationally and internationally. The second objective of World Mayor is to involve as many people as possible from all parts of the world in the Project. At a time when in many countries only a minority of the electorate participates in local elections - some mayors of important US cities are elected on a turn-out of less than 20 per cent - the fellows of the City Mayors Foundation felt that a competitive project like World Mayor would persuade citizens to engage more strongly with the work of their mayors and at the same time provide them with an opportunity to learn about the challenges faced by cities across the world. The World Mayor Project was therefore conceived to commend city leaders chosen by an engaged international audience rather than by a jury of ‘experts’. Participants in the World Mayor Project were invited to nominate city leaders who have demonstrated pre-eminence in qualities such as honest and open governance, leadership and vision, management abilities, financial acumen, social and economic awareness, ability to provide security and to protect the environment, in addition to displaying the will and ability to foster tolerance and amity among communities of different cultural, racial and social backgrounds. All nominations had to be accompanied by testimonials outlining the qualities and achievements of suggested mayors. When establishing the rules for the project, the City Mayors Foundation emphasised that the strength of argument expressed in testimonials carried more weight than their actual numbers. By stressing the significance of well-argued comments, the organisers aimed to ensure that project participants thought carefully about the merits of their chosen mayors. The Project rules also enable mayors from smaller cities to compete on equal terms with those from large metropolises. During 2014, testimonials and tributes were submitted and published in English, Spanish, German, French, Dutch, Indonesian, Greek, Turkish and Arabic. Publication of selected testimonials on the World Mayor website also enabled comparison. The 2014 World Mayor Project was conducted over two rounds. While the City Mayors Foundation accepted informal nominations for the 2014 World Mayor Prize at any time, the Project was carried out officially over two rounds lasting from January to the end of October. During the first round of World Mayor 2014, which took place from early January to May 2014, the City Mayors Foundation invited the public to submit nominations of mayors deemed worthy of being numbered among the most outstanding city leaders in the world. Nominations had to be accompanied by statements detailing mayors’ qualities and achievements. More than 218,000 individuals and organisations suggested the names of 933 mayors for consideration. Some mayors were supported by thousands of their citizens, while others only collected a mere handful of nominations. For the World Mayor jury, made up of fellows of the City Mayors Foundation, the number of nominations was less important than the persuasiveness of supporting statements. During the course of the first round, the 2014 World Mayor longlist grew from 23 candidates in January to a final tally 121 mayors at the end of May. The closing longlist included 19 mayors from North America, 16 from Latin America, 44 from Europe, 26 from Asia, seven from Australasia and nine from Africa. Although the World Mayor jury took the number of nominations into account, the 2014 shortlist of 26 finalists was largely compiled based on mayors’ accomplishments detailed in the supporting statements. The shortlist of 26 final nominees included four mayors from North America, four from Latin America, nine from Europe, six from Asia, one from Australasia and two from Africa. Some of the 2014 nominees for the World Mayor title came from the world’s largest and best-known cities, while others represented smaller communities such as Ribera de Arriba (Spain) or Lampedusa (Italy). 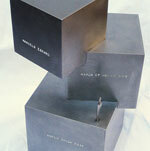 With the exception of the mayors of Oklahoma City and Guatemala City, all nominees were shortlisted for the first time. Under the World Mayor rules, previous winners are not eligible to compete again, while runners-up from previous years are only eligible if they won re-elections since their previous listing. During the second round of World Mayor 2014, from June to October 2014, a worldwide audience was invited to select from the shortlist of 26 mayors their choice of title candidate. Similar to round one, participants were asked to provide a persuasive testimonial to back up their choice. Mere comments like ‘she is the best mayor in the world’ or ‘he is such a great guy’, were not considered by the jury. The organisers of the World Mayor Project received some 256,000 valid testimonials supporting the 26 nominees. Unlike in 2012 and in previous years, World Mayor 2014 did not offer a click-voting option. Each nominated mayor was allocated a unique email address to which participants had to send their votes and comments. The new method largely eliminated frivolous and organised voting. The organisers also introduced two additional filters to detect instances of fraudulent and manipulated voting. With a share of 27%, Europe contributed the largest number of votes. Followed by Asia (24%), Latin America (23%), North America (18%), Africa (5%) and Australasia (3%). Following the closure of the second round, the organisers of the 2014 World Mayor Project began a process of verification and evaluation. At the end of 2014 the World Mayor jury drew up a list of ten mayors who stood out in terms of accomplishments as well as popular support from their citizens and peers. All top-ten mayors also received considerable support from outside their communities and even countries. While the candidatures of many of the ranked mayors were backed by thousands of supporters, the World Mayor jury considered the size of support as only secondary. The panel was primarily influenced by the arguments and persuasiveness of testimonials bestowed on mayors. As some city leaders in the top ten represent large metropolises, while others are mayors of much smaller towns, members of the jury were of the opinion that basing judgment on numbers alone would unfairly disadvantage mayors from smaller communities. In 2004 Edi Rama won the Prize for his achievements in turning the drab and neglected post-communist capital of Albania into a thriving western European city. Edi Rama is now Prime Minister of Albania. As Mayor of Athens, Dora Bakoyannis contributed substantially to the success of the 2004 Summer Olympics. After receiving the 2005 World Mayor Prize, she was appointed Greek foreign minister. Helen Zille, Mayor of Cape Town, and winner of the 2008 World Mayor Prize, was described as an ‘amazing lady’ who in a country devoid of present-day role models was making a difference and giving people hope. One admirer said: “Her only equals are Desmond Tutu and Nelson Mandela in Southern Africa.” Helen Zille is now Premier of the Western Cape Province. Marcelo Ebrard, Mayor of Mexico City, was awarded the 2010 World Mayor Prize. Marcelo Ebrard was Mayor of Mexico City from 2006 to 2012. During his time in office, the mayor never shied away from challenging Mexico’s orthodoxy. He championed the rights of women and minorities and became an outspoken and internationally respected advocate on environmental issues. Iñaki Azkuna, Mayor of Bilbao, Spain, was awarded the 2012 World Mayor Prize. It had been said that Bilbao’s transformation from a declining industrial city in Spain’s northern Basque Province to an international centre for tourism and the arts has been sparked by two events: the opening of the Guggenheim Museum in 1997 and the election of Iñaki Azkuna as mayor two years later. Iñaki Azkuna died in March 2014, aged 71. Naheed Nenshi, Mayor of Calgary, Canada, was awarded the 2014 World Mayor Prize. Since taking office in 2010, he has become the most admired mayor of any large Canadian city. He is an urban visionary who doesn’t neglect the nitty-gritty of local government. For many in North America and indeed Europe, Mayor Nenshi is a role model for decisive management, inclusivity and forward planning. In 2004: Andrés Manuel López Obrador (Mexico City}; in third place - Walter Veltroni (Rome). In 2005: Hazel McCallion (Mississauga, Canada); in third place - Alvaro Arzú (Guatemala City). In 2006: Job Cohen (Amsterdam); in third place - Stephen Reed (Harrisburg, USA). In 2008: Elmar Ledergerber (Zurich); in third place - Leopoldo López (Chacao, Venezuela). In 2010: Mick Cornett (Oklahoma City, USA); in third place Domenico Lucano (Riace, Italy). In 2012: Lisa Scaffidi (Perth, Australia); in third place Joko Widodo (Surakarta, Indonesia). Mayors to be considered for the 2014 World Mayor Prize were required to be in office on 31 October 2014, the closing date of the popular vote. 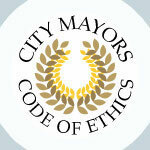 Mayors who wished to be considered for the Prize were also required to sign up to the City Mayors Foundation Code of Ethics.